The society has a collection of books, maps, pamphlets, society minutes and other documents that it would like to make available for research or general interest. The first stage was to sort and catalogue what documents we have. This work has progressed sufficiently for us to publish an online list of our books, maps and a small selection of the other documents in our archive (See under Book & Document Archive). More will be added shortly, in the meantime please contact the society if you wish to inspect or borrow any of the material listed. On Friday 16th August, members of "Revealing Oldknow's Legacy" HLF bid Management Board welcomed a member of the HLF Committee, Virginia Tandy and HLF Project Officer, Nick Herepath to tour the three sites of the HLF project prior to determination of the bid in September. We now wait with cautious optimism to see if the HLF bid has been successful. In the meantime, a Mellor Mill "Fact & Fun" Heritage Day has been arranged on Sunday 8th September. There will be tours of the latest excavations with talks, videos and entertainment for all the family. For more details see here. which the government would like to see relaxation in the planning rules. Civic Voice has campaigned against the relaxation of the planning system since the Government came to power. Whilst accepting the need to drive the economy forward and that the country has a significant challenge in solving the housing crisis it does not accept that the proposals tackle the issues sufficient to warrant the proposed dilution of local influence. Civic Voice has published a briefing document (see here) and is asking for feeback before 1st October. 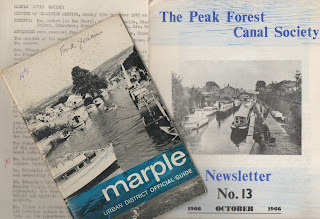 At the Marple Area Committee Meeting of 10th July 2013 Marple Civic Society requested a progress report on the proposal for a foodstore on the site of Chadwick Street car park. Kirkland Developments were granted planning permission for a food store on the site of Chadwick Street car park in March 2013. They now have 3 years to implement their proposal. The council is in active discussion with Kirkland about several aspects of the proposal. Discussions are ongoing with Royal Mail about their relocation to another sorting office facility. The recently announced privatisation of the Royal Mail may influence their view on the facilities they need. 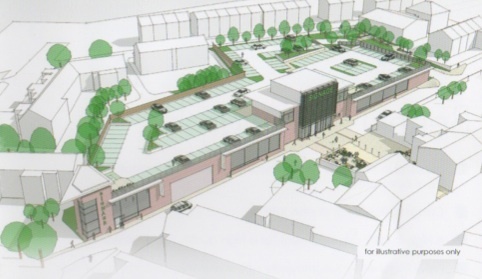 ASDA have until 1st September 2013 to make further representations (appeal) regarding the CMSFC Hibbert Lane site. It may be that a retail user for the Chadwick Street site will not come forward until after the 1st September 2013 deadline. The college is bringing forward proposals for housing on their Hibbert Lane site and a decision on an application is expected in due course. A committee meeting followed by a speaker meeting was held in Marple Library on 30th July 2013. Unfortunately our speaker, Harry Smith, was unable to attend. However Andy Tinsey presented a summary of Harry's report on his study of supermarkets. A discussion followed on the Chadwick Street car park foodstore development and its wider impact on Marple town. Those present were not aware of the planned traffic management scheme and like others we have spoken to did not approve of it and supported the society's view that an independent public realm study should be carried out. This is an opportunity to make Marple not just a car friendly town but a people friendly town, too.